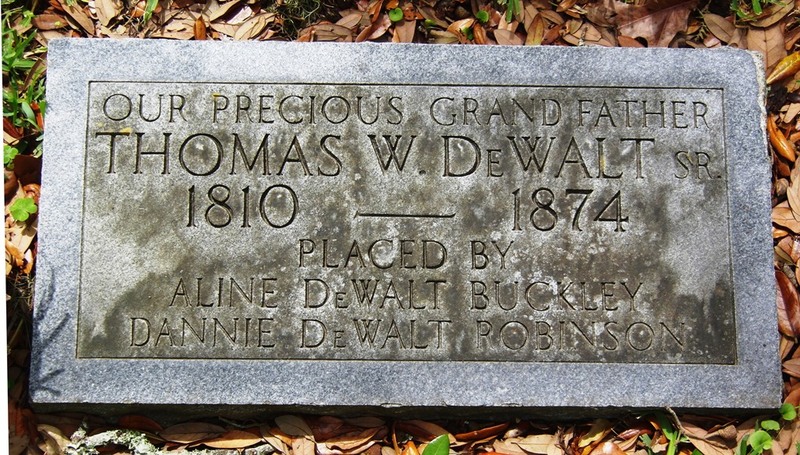 Gravestone for T. W. DeWalt Sr.
Thomas DeWalt started a plantation on Oyster Creek in what is today Missouri City in 1850. Following the War Between the States the property was subdivided into small plots and soon the thriving black community of DeWalt was established that still exists today. The town was granted a post office in 1898. In 1912 the Sugar Land Railroad was laid through the town. Little remains of the historical community today except this burial ground. DeWalt, Thomas Waters – He arrived in Texas in 1845 from South Carolina and established DeWalt Plantation. In 1850 a wagon train stopped at the plantation headquarters asking DeWalt permission to camp under the shade of several large oak trees in order to tend to two very sick young girls. Unfortunately, the children died and DeWalt established this one acre plot under those oaks in 1850. Over the years, members of the expanded DeWalt clan were laid to rest here including members of the DeWalt, Martin, Robinson, Roane, Bledsoe and Cessna families. This private cemetery remains in use today. 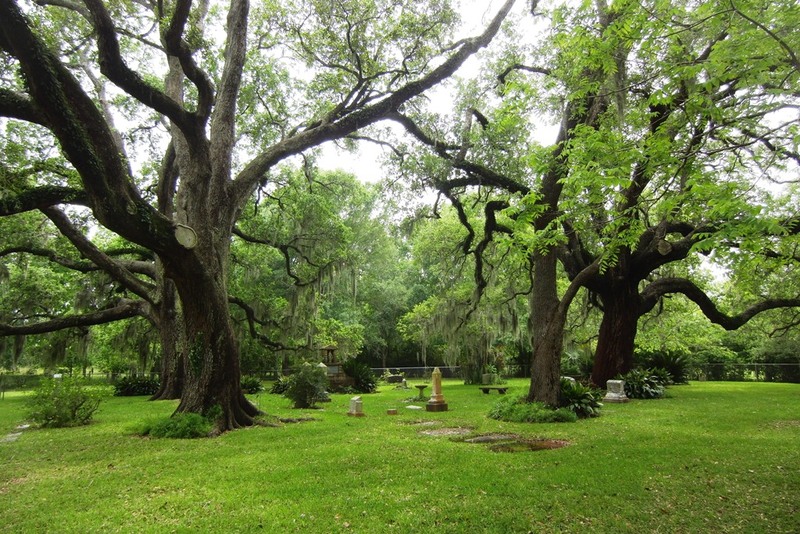 Historic Oaks – Within DeWalt Cemetery are three huge oak trees estimated to be over 250 years old.